When they're not being used, they're kept in coffin-like boxes where they can't move or swim — for up to a week at a time. When Oxana Fedorova saw photos of two beluga dolphins inside a tiny, plastic-lined pool, her heart broke. 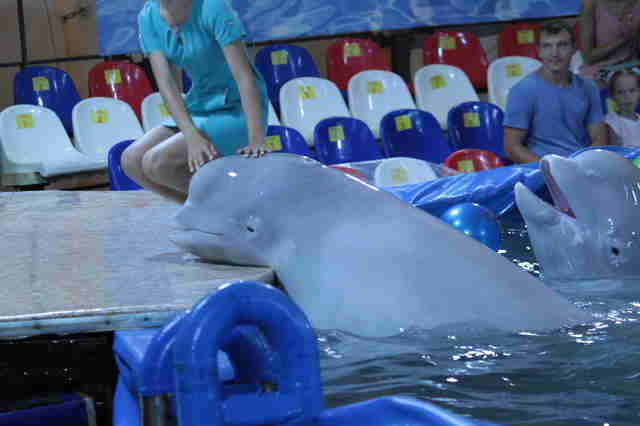 “I felt helpless,” Fedorova, founder of Save Dolphins, a Russian organization that helps marine animals, told The Dodo. “I knew I wanted to do everything in my power to help them." 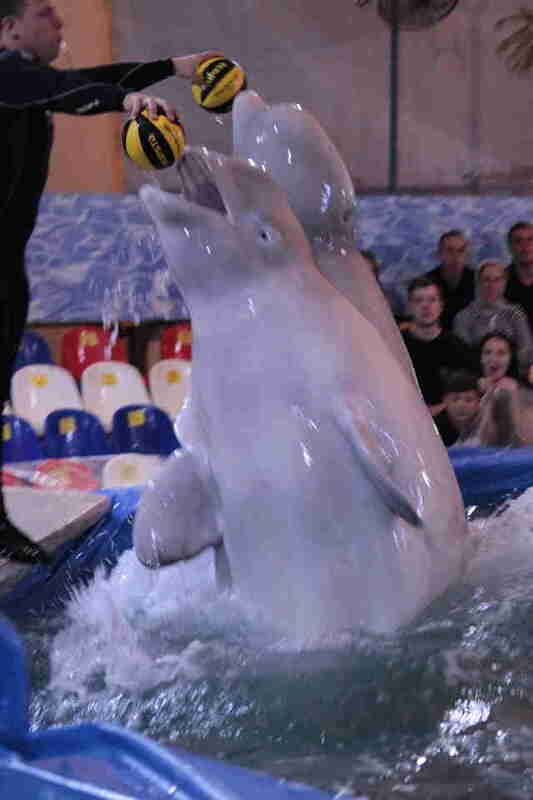 Tom and Una’s life in the Russian Traveling Dolphinarium started approximately five years ago, when they were captured in the Sea of Okhotsk off the coast of Russia, Fedorova explained. 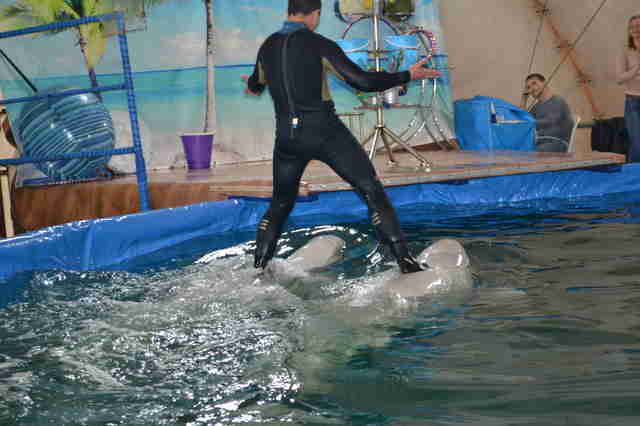 Since then, they’ve been forced to travel from city to city to perform in SeaWorld-like shows along with seals and dolphins. “They do pretty basic staff, like jump to touch a ball, wave to the public or carry a trainer,” Fedorova said. In other instances, the belugas may be given a paintbrush to paint on a canvas, or made to go to the edge of the pool to “kiss” visitors for photos. In one photo, a seal can be seen riding on top of a beluga. 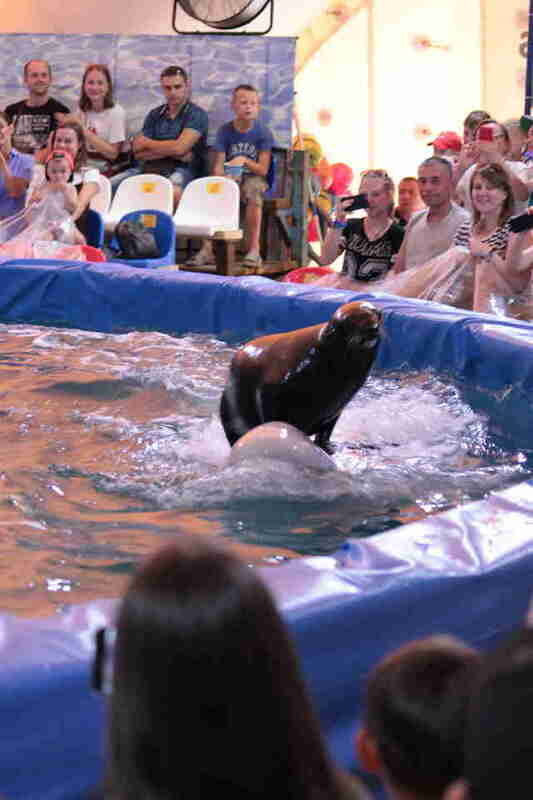 In addition to the Russian Traveling Dolphinarium, one other traveling company operates in Russia, according to Fedorova — the Moscow Traveling Dolphinarium. 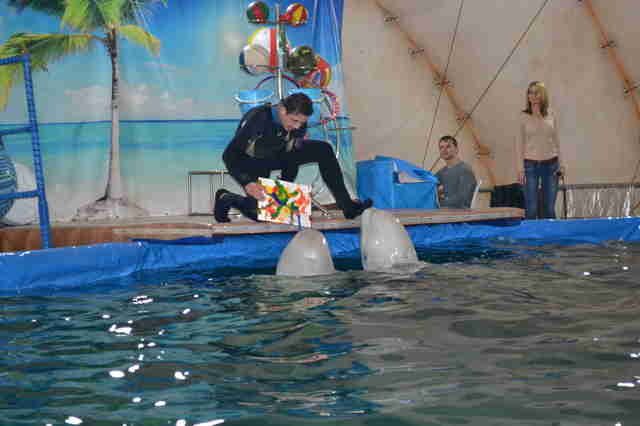 However, Russia also has permanent facilities that mirror the conditions of these traveling dolphinariums. The pools in the Russian traveling shows are usually no more than 10 feet deep and about 50 feet wide, according to Fedorova. 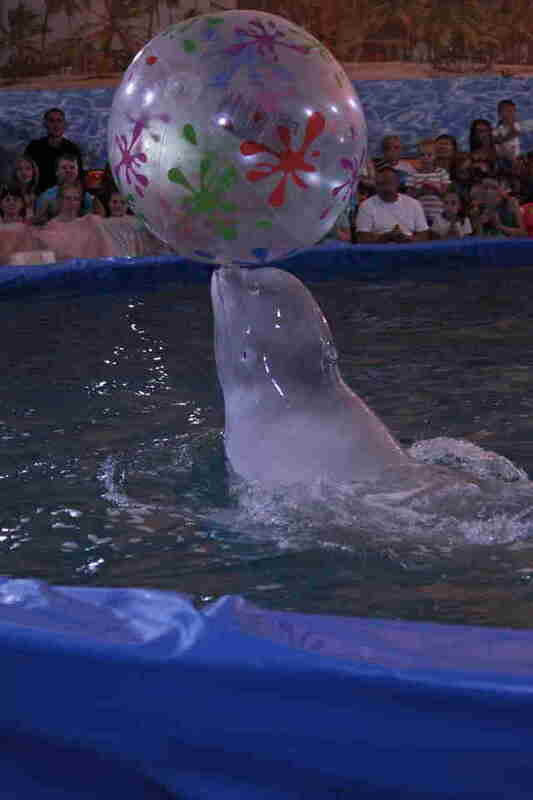 In the wild, belugas are accustomed to diving to depths of 131 feet, and can travel many miles each day. "It's like living in the bathtub," Fedorova said. "No wonder their lives don't last long — any confinement for marine mammals leads to stress, no matter how big the tank is, it's a confined space, which is simply repugnant to their nature." Unfortunately, the water quality inside of these pools is also extremely poor, according to Fedorova. “They claim to have filtration systems, but ... not that long ago during the inspection in the same company's dolphinarium, high levels of E.coli bacteria were found in the water,” said Fedorova, who fears the unsanitary water will eventually kill Tom and Una. 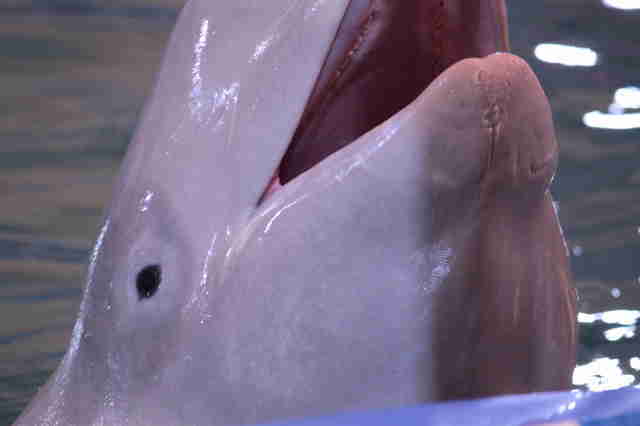 Rose expressed similar concerns about the belugas’ well-being inside these types of pools. 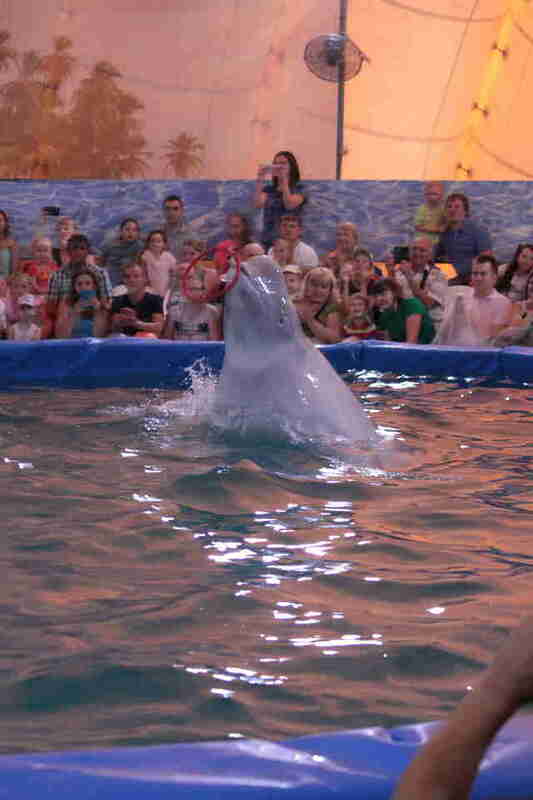 Rose also noted that the traveling dolphinarium arenas don’t let in any natural light, and that different species of marine animals are often kept in the same pool, which would be stressful to the animals. “Russia has several such temporary enclosures — no more than backyard swimming pools — sometimes with belugas and bottlenose dolphins in the same space, meaning the water temperature is very wrong for one species or the other or for both,” Rose said. 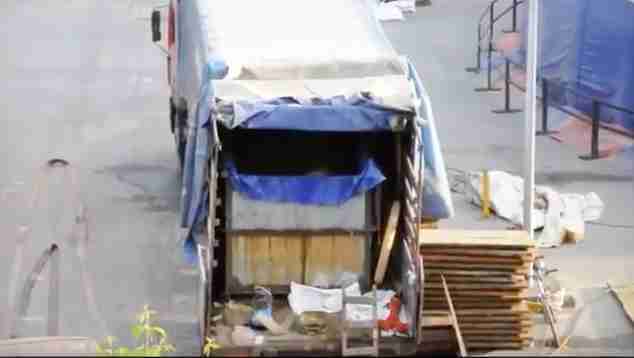 When the traveling dolphinariums move from city to city in Russia, the belugas are taken out of the pools and placed in coffin-like transport containers. Oftentimes, they spend five to eight days inside these tanks without ever being able to swim, according to Fedorova. While there are no videos of Tom and Una inside the transport tanks, there’s footage of Storm and Calm, two belugas who previously performed in the Russian Traveling Dolphinarium until they died last year. Fedorova believes that the poor living conditions are what ultimately killed Storm and Calm. “Captivity killed them, and the horrible conditions in which they were kept — the small tanks, water quality, food quality, transportation,” Fedorova said. If something doesn’t change soon, Fedorova worries, Tom and Una will face the same end. Belugas live an average of 35 to 50 years in the wild. Unfortunately, Russia’s lack of animal protection laws won’t make it easy to save Tom and Una. Not only that, but Tom and Una were captured using legal permits, according to Fedorova, and the trainers are under no legal obligation to give them up. That said, Fedorova is hoping that the Russian government will pass new legislation that will permanently ban traveling dolphinariums. The only way to do that, Fedorova says, is through education and awareness. 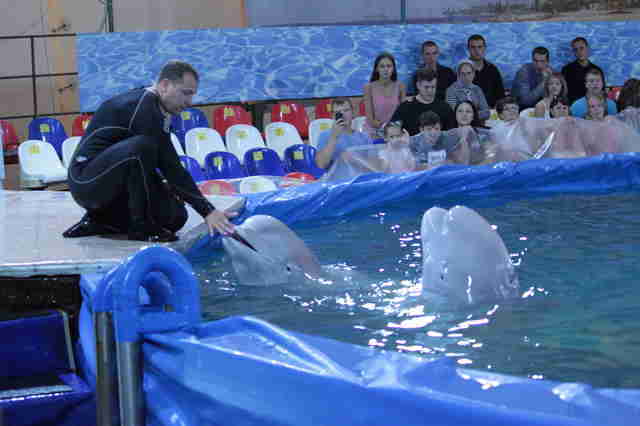 “I believe that only people in Russia have the power to stop traveling dolphinariums and any other shows with marine mammals, and of course wild captures, but we need support from the rest of the world,” Fedorova said. “The Russian government will hear public outcry and react to it, but it has to come from Russian citizens." 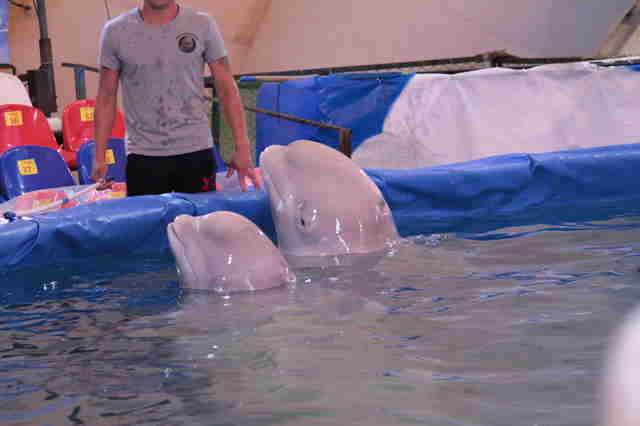 It’s equally important to stop the capture of belugas and other ocean animals from the Sea of Okhotsk, according to Fedorova. While some animals are kept in Russia, others are sold to different countries — including the U.S. 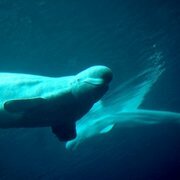 Recently, SeaWorld and the Georgia Aquarium jointly tried to import 18 belugas captured in the Sea of Okhotsk, but were blocked by a judge and abandoned the plan in 2015 due to mounting public opposition. 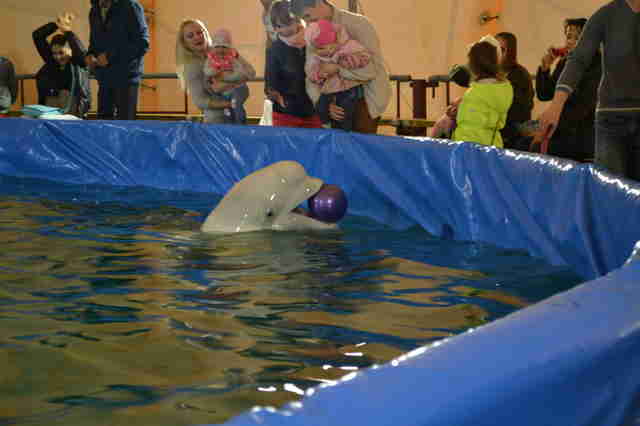 To help Tom, Una and other belugas in Russia, you can sign this petition to urge the Russian government to ban traveling dolphinariums. 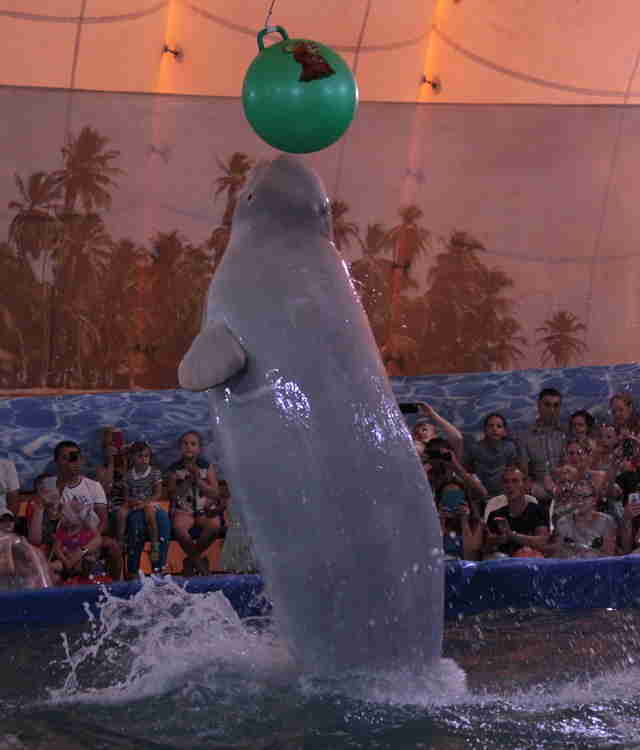 You can also sign this petition to help make it illegal to capture belugas and other animals, and to sell and use them for entertainment purposes.